Attack on Titan: The Last Stand. Anime Ltd to release board game created by Don't Panic Games in the UK. Following on from the exciting news we shared with you yesterday, we have more news to share with you ahead of the MCM London Comic Con event this weekend! As you know we’ve brought numerous anime titles to the United Kingdom on Blu-ray and DVD, given you the opportunity to watch numerous films on the big screen in cinemas and IMAX, we’ve even dabbled in the world of CD Soundtracks with a release of the (now out-of-print) Attack on Titan soundtrack back in the early day of Anime Ltd/AllTheAnime. But today we add another branch to our already large tree as we’re pleased to announce a new venture for Anime Ltd in that we’re bringing a board game based on the very popular Attack on Titan franchise to the United Kingdom, Attack on Titan: The Last Stand. We’re very big fans of board games here at Anime Ltd and to say we jumped at the opportunity to make this happen is an understatement. And what’s more exciting is that if you’re attending MCM London Comic Con this weekend you can be among the first people own it, as we will have limited copies available to purchase from our AllTheAnime shop stand! Have a read on below for details about the game. 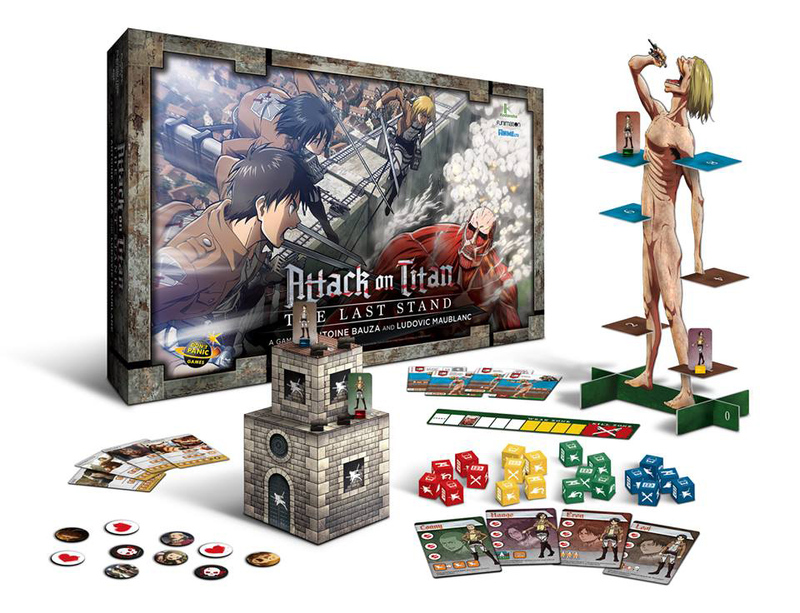 Play as your favourite Attack on Titan character … or as the Titan! Attack on Titan: The Last Stand is based on the highly successful Attack on Titan anime series. In the game, one player takes on the role of a fearsome Titan, threatening the last remaining human city. The other players act as brave Heroes, as they try to protect the weak and preserve the supply depot in the last bastion of humanity! • 7 Tactics Cards Titan stands 15” tall! In the coming months UK online retailers will be stocking the game for you to purchase. You’ll also be able to purchase it in due course from our All The Anime web shop as well. As we mentioned at the top of this piece, we will have limited copies of the game available to purchase at MCM London Comic Con at our stand. 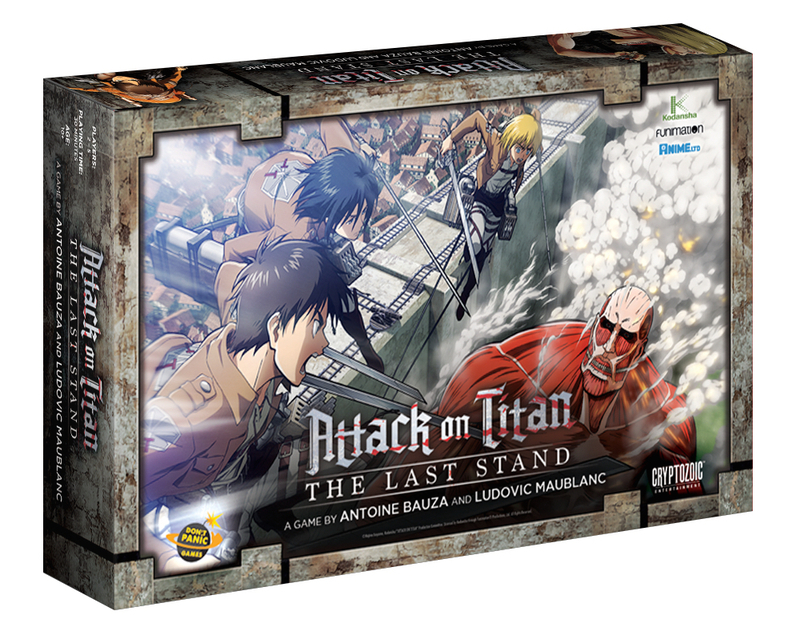 Stay tuned for more information on where you’ll be able to purchase Attack on Titan: The Last Stand.